Christianity is the only religion that had its leader come back to life after a widely witnessed death. Christianity’s authenticity rises or falls with the resurrection. Either it did happen and Christians can also believe that their own resurrection is assured, or that it did not happen and Christianity is a hoax. In all of Judea and Samaria and the Roman occupied areas, the Bible plainly says there were hundreds of witnesses who saw Jesus crucified and die on the cross. (Luke 24:15-24, Act 1:3-4, 2:31-32, 9:3, 17, I Cor 15:4-8, 9:1, II Pet 1:16-21, John 3:2, 15:27, I John 1:1-3, 14). Most of the major historians, including the Jewish Historian Josephus, recorded this as a fact, and not as hearsay. None of the historians dispute it, nor did the hundreds of eye witnesses. Besides the hundreds of Jews that witnessed Jesus’ death, it was common knowledge in all of Judea, in Jerusalem, among the Roman Guard, the Sadducees, Pharisees, and even the Chief Priests. They intentionally witnessed it to ensure that the order for His death sentence was carried out and that His crucifixion took place beyond a shadow of doubt. The last thing the religious leaders wanted was for Jesus to somehow survive and continue to be a threat to their dominion and rule over the Jews. Ravi Zacharias [rzim.org] once said that, “…the fact is the resurrection from the dead was the ultimate proof that in history, and in an empirically verifiable means, that the Word of God was made certain. Otherwise, the experience on the Mount of Transfiguration would have been good enough. But the apostle Peter says in 2 Peter 1:19: “We have the Word of the prophets made more certain…as to a light shining in a dark place.” He testified to the authority and person of Christ, and the resurrected person of Christ. And Christ told Peter and all who would believe, that they too will be resurrected, for God said it, and that settles it (I. Cor. 6:14). The fact of Jesus’ crucifixion, burial and resurrection was so important to the early church that within three to eight years after His death, a Creed was created to ensure its validity. The Creed’s purpose was intended to protect these eye witness’s accounts and codify their testimonies accurately for those that would come into the church after they eye witnesses had all died. The Creed was both for the present church and future Christians. Regardless, within a few years, some churches had already been infiltrated with other doctrines like the Gnosticism. The Gnostics felt it was through knowledge that salvation comes and was only for a privileged, special few. However, the Creed publicly stated that the only way to salvation is only through Jesus, who had lived, died and was resurrected. The Creed was not written from a blind-faith perspective or suppositions, but from the early church leaders and eye witnesses who had seen these things with their own eyes. Most people would live for a lie, but few would die for one. Since there is not statute of limitations in a court of law over murder, the evidence is so significant and the eye witnesses so many, that this case could hold up in a court of law today. Witnesses’ testimony is still valid in court cases, even if the witnesses are no longer living. If ever there was an expert in court testimony and eyewitness accounts of criminal evidence for a felony trial, it was Dr. Simon Greenleaf, an American attorney and jurist (1783-1853). Dr. Greenleaf saw the multiple eye-witness accounts of Jesus and His death and resurrection as so concrete and credible as to still, today, be considered admissible evidence fit for a court of law. He concluded that the testimonies recorded in the New Testament, would be considered as valid today as they were then by a jury. He did not consider their testimony as “third party” or as “hear say”, but a large enough number of real people who were really there. It is hard to fathom that this was done before such a large audience and that they were all deceived at the same time. In any court of law, it only takes two or three witnesses to convince a jury of a guilty verdict, but with hundreds of eye witnesses providing such a strong, supportive written testimony, it is incongruous that all of these testimonies would thrown out of a court trial. The fact is that these testimonies meet or exceeded evidential requirements so strongly that Dr. Greenleaf even saw the martyrdoms, exponential church growth and the persistent-through-persecution faith of the believers (often, even up to death), also as the most consequential evidence that could possible exist. Dr. Simon saw it “…as impossible that the apostles could have persisted in affirming the truths they had narrated, had not Jesus Christ actually been raised from the dead. It’s important to note that eye witnesses can still convene a jury for something that happened decades ago, even with all the witnesses deceased. And all the mores since there are no statute of limitations for murder. The 19th-century history professor at Oxford, Dr. Thomas Arnold, said, “I know of no one fact in the history of mankind which is proved by better and fuller evidence of every sort, to the understanding of a fair inquirer…”  There are five historical facts about Christ, agreed to by nearly all ancient Historians: That He lived, that He died, and that He was crucified and then buried and was seen again, alive, after the resurrection. Even Jewish authorities acknowledge the empty tomb in their histories in Jewish schools. Discovery Channel’s 2007 special “The Lost Tomb of Jesus” by director James Cameron and presented by Simcha Jacobovici, a Jewish investigative journalist, drags up thirty-year-old news in declaring this “find“. The Princeton Theological Seminary’s Bible scholars flatly rejected the claims that an ossuary found in Jerusalem in 1980 is that of Jesus and His family. Those scholars, archaeologists and epigraphers who presented papers on the Talpoit Tomb all declare that this is not Jesus tomb. Both conservative and liberal theologians and scholars agree that His tomb was commonly known to have been Joseph of Arimathea’s. All of the symposium’s participants, including its organizer, signed this statement to show their full rejection of the Talpoit Tomb as Jesus’. Something the Discovery Channel left out of this program, alone with other important facts. What the vast majority of theologians, scholars, historians and archaeologists, both liberal and conservative, use in considering the resurrection, all do not dispute the fact of His resurrection. 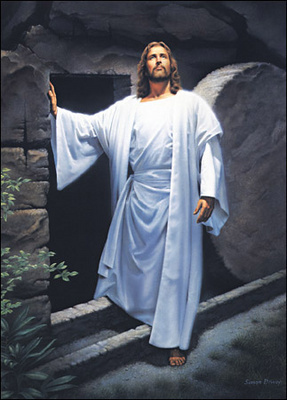 Nearly all believe that the resurrection did occur and that Jesus was raised from the dead. They realize that the testimonies of several hundred eye witnesses of these events can not be treated as inadmissible evidence. That many witnesses simply can’t all be wrong, nor would they be willing to suffer persecution, ex-communication from family and friends, even death, for something that never happened. This is an excerpt from Chapter Three of "Blind Chance or Intelligent Design?, Empirical Methodologies and the Bible" from Amazon. 1. Greenleaf, Simon. An Examination of the Testimony of the Four Evangelists by the Rules of Evidence Administered in the Courts of Justice. In which he emphatically stated: "it was impossible that the apostles could have persisted in affirming the truths they had narrated, had not Jesus Christ actually risen from the dead”. (Simon Greenleaf, An Examination of the Testimony of the Four Evangelists by the Rules of Evidence Administered in the Courts of Justice, p.29). 2. Gary Habermas and Anthony Flew. Did Jesus Rise From the Dead? Harper and Row, 1987. ( p. XIIIf, 142). 3. Arnold, Thomas. God and the Bible, 1875, as quoted in Arnold and God. Berkley: University of California Press, 1983. Super, (CPW, VII, pg. 384). The greatest problem is that you don't ascribe history to a real man. Ribi Yehoshua ben Yoseph was the one that lived and died (apparently) and then was seen again. He was a Torah observant Jew. J-sus on the extreme other hand is given credit for doing these things and a whole futile religion is built upon myth. Torah observance and rejection are two opposite poles. Check out Oxford scholar James Parkes, "The Conflict of the Church and Synagogue," and Hebrew University Professor Joseph Klausner's book, "From J-sus to Paul," on what the real 1st century man and his students were about. Netzarim The bottom line is if you want to follow the authentic Mashiach, Ribi Yehoshua ben Yoseph.